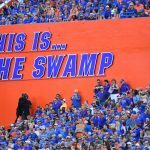 One of the top defensive linemen in the Class of 2020, four-star defensive tackle Johnnie Brown (Tampa, FL) verbally committed to the Florida Gators on Saturday during Junior Day in Gainesville, Florida. Brown (6-foot-2, 250 pounds) also had offers from Georgia, LSU and Mississippi State, among others. Ranked No. 98 overall in the 247Sports Composite, Brown announced his commitment on Twitter with a graphic. 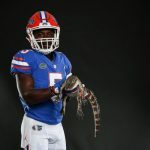 Brown joins four-star DT Gervon Dexter (Lake Wales, FL) to give the Gators a formidable twosome at the position with 10 months before the early signing period. His commitment boosted Florida one spot to No. 3 in the 247Sports Composite team rankings for 2020 behind only Alabama and LSU. National Signing Day is set for Wednesday as the remaining members of the Class of 2019 have an opportunity to make their decisions known. The Gators enter with the No. 11 ranked class but are at least in contention for three top 100 players. 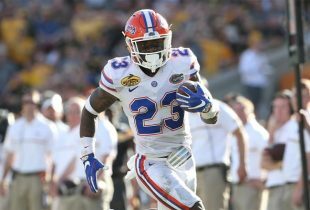 OnlyGators.com will have full coverage leading up to and during signing day in this space.